The Internet has substantially increased the demand for database hosting as more companies look to make their databases available to customers, vendors and employees. 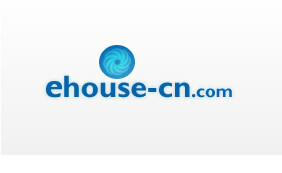 This also requires that the database be available 24/7 so the choice of database hosting provider is critical as well. Unfortunately trying to find a database hosting provider that is qualified is difficult. It is very important you get the database server configured correctly the first time. This configuration will determine how well the database performs, how secure the data remains, how easy it will be to increase the throughput, and how easy it will be to back-up. To achieve this, your database hosting provider must be familiar with the requirements of your database program. Many hosting providers are familiar with web hosting, but have little experience with database hosting, particularly in complex clusters. A database is much more dynamic than a web site and the security of the data is much more important, so your database hosting provider must be technically skilled. There can be great value to having a database available on the Internet, but only if your database hosting provider can properly configure and maintain it. Complete database management involves both a computer program that allows multiple users to utilize a database simultaneously and technical resources to configure and maintain the database server. The computer program that provides database management is typically called a database management system. A database management system allows multiple users to access and modify the data in a database. The database management system keeps track of where the data is physically located on the storage media, who has security clearance to access or modify it, how to grant simultaneous access, and what relationships have been established within the data. There are numerous database management systems from which to choose, including Oracle, MySQL, MS SQL, PostgreSQL, DB2, and Sybase programs. Database management systems are typically designed to work with a specific operating system, such as Linux and UNIX or Windows. Database management also requires skilled technical resources to configure and maintain the database server on which the database resides. This requirement of database management is often overlooked by companies to their detriment. This management must be provided, whether by internal IT resources, a database management provider, or a hosting company with database expertise. It is expensive to develop a database and that investment can be wasted without the proper maintenance. A database is very dynamic and without database management the performance of the database will degrade overtime. It also is important to configure the database server correctly at the start to achieve peak performance, allow for easy scalability, simplify backups and permit efficient database management. A database server manages and stores the database within a computer system. The database server is often referred to as the back-end of the computer system and interfaces with the application server (middleware) which links to the front-end graphical user interface. A database server can be integrated with a web and application server on a single physical server or it can be part of a complex cluster. A database server is typically part of a cluster for high volume or complex transaction applications. Within a cluster a database server would be on its own physical server and there may be more than one database server to provide redundancy. Likewise, there would be unique and multiple web servers and application servers within the cluster. 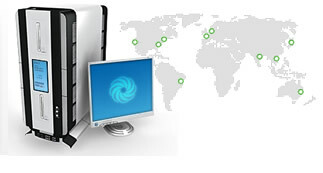 There are several software programs that are used on a database server. The most popular are Oracle and some version of SQL, such as MySQL, MS SQL, or PostrgreSQL. All these programs allow a database server to function in a client/server environment as a distributed database. It is critical for a database server to be properly configured if it is to be easily scalable, maintained, and backed-up. To achieve this it is best to use engineers that are familiar with the requirements of the database program on your database server. These engineers could be internal IT resources, a hosting provider with database expertise, or a remote database server management company.